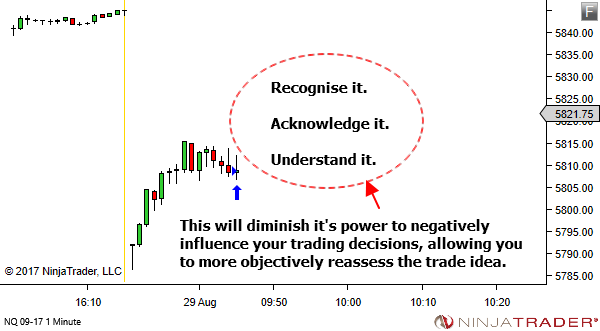 Without doubt, this is one of the key lessons we must learn on the way to becoming a professional trader. This is exactly the right approach to the presence of the fear and doubt. Just briefly, bring your focus back from the external (charts) to the internal (your body and mind). Notice what you're feeling. Accept it. You can't fight it. You may as well welcome it. If it helps… verbalise it. What is it trying to tell you? There is information there. Find it! 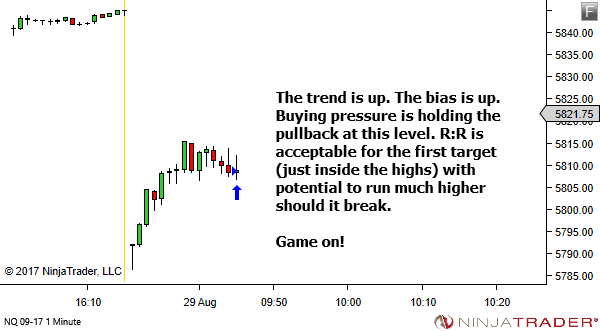 4. Review the trade premise. Often you will find that steps one to three will significantly reduce the severity of emotion. 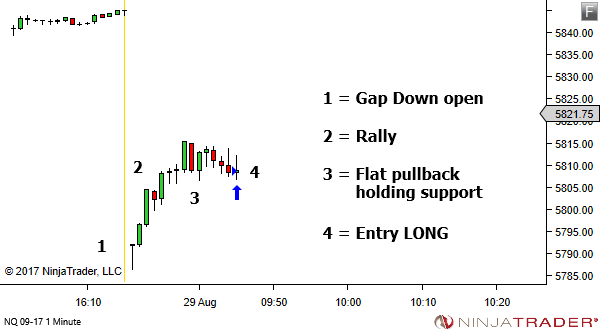 So the final step – review the trade premise from an objective chart-based perspective. With the emotion acknowledged and diminished, does the trade premise actually contain edge? 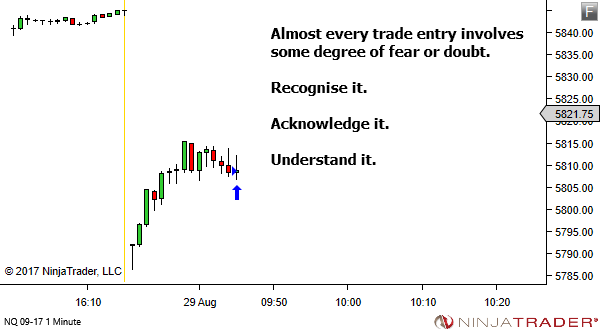 If it helps, consider creating a "pre-entry mantra" to shift your focus inside and recognise, acknowledge and understand any emotion that may impact upon your trading decisions and actions. With experience (and of course proper risk control) fear and emotion will reduce. But it never completely goes away. Accept it. And learn to work alongside it.